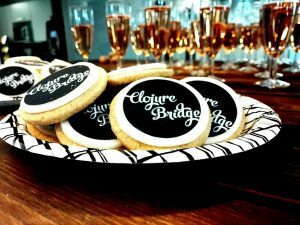 ClojureBridge – Beginners friendly free programming workshop coming soon! ClojureBridge aims to increase diversity within the programming community by offering free, beginner-friendly Clojure programming workshops to people from underrepresented groups. Our events focus on creating welcoming and inclusive environments so that people of all different genders, orientation, ability, age, ethnic group or class can feel welcome and comfortable in our industry. If you are interested or you know someone that might be interested feel free to join our next ClojureBridge workshop in Amsterdam! Please fill in the application form; We will try to accommodate as many participants as possible. For the rest more workshops will follow!